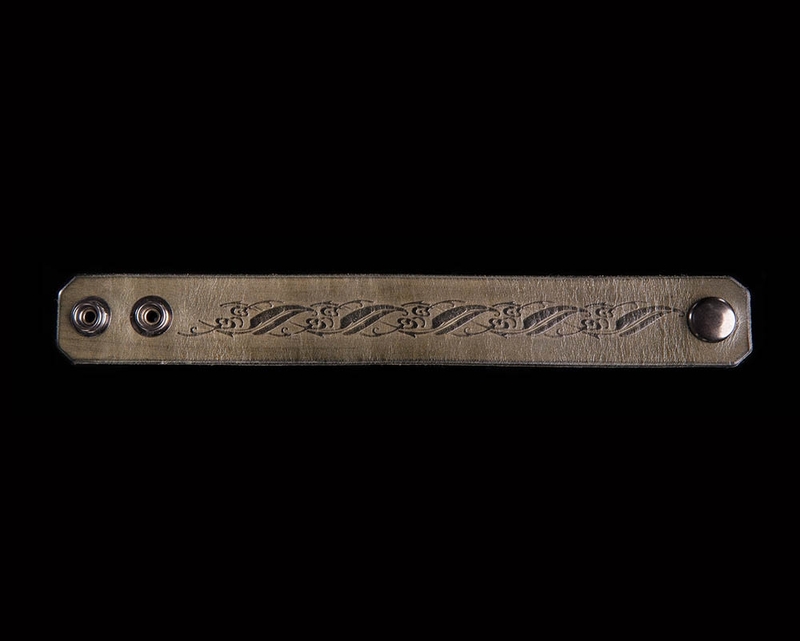 Channel the beauty and grace of the Elves with this gorgeous leather cuff, embossed with an Elven leaf design such as one might find in the Mirkwood Realm. This exquisite leather cuff or arm band will last you a lifetime. It was made in Wellington, New Zealand from supple vegetable tanned cowhide. This is a natural product with unique colour and texture variations. 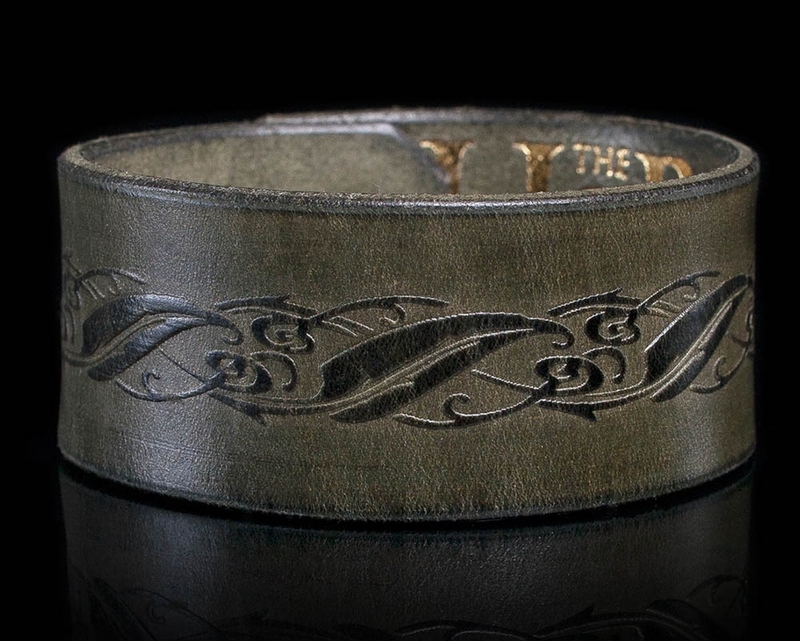 The forest green leather is embossed with an Elven leaf design such as one might find in the Mirkwood Realm. The cuff features one snap lock cap and two sockets, to fit two wrist sizes: 7.5 in (190mm) and 8.3 in (210mm). These are sturdy chrome coloured fasteners. These cuffs are very tactile, beautiful to look at and have that irresistible smell of real leather. 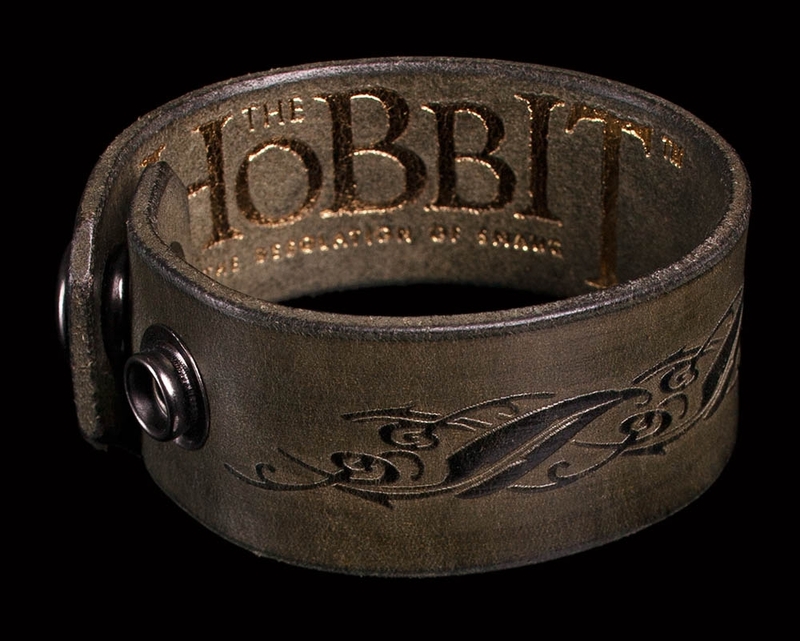 Created by the same talented artists and craftsmen who created leatherwork for the 3Foot7 art department on The Hobbit movies. 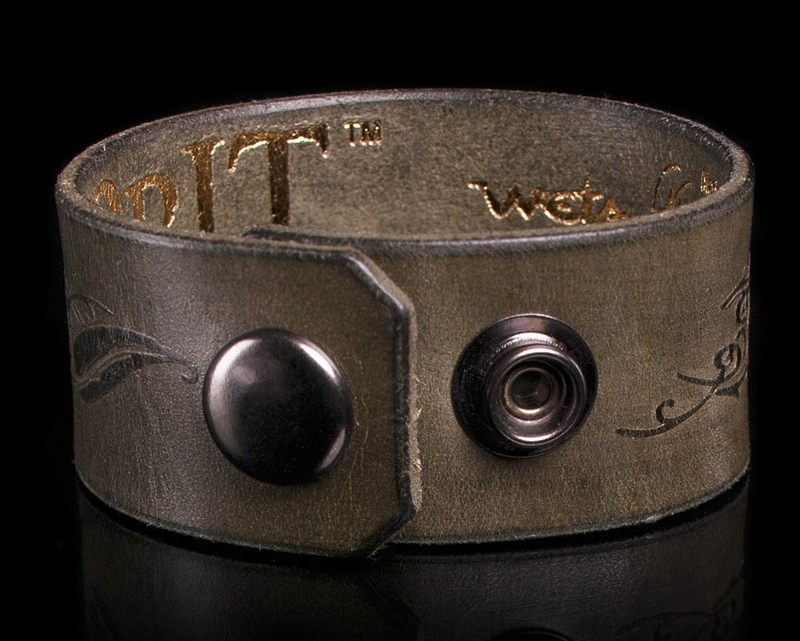 This leather cuff is a work of art. The design scrollwork is gorgeous, it fits like a dream, and I wear it every single day. Love the smell of real leather as well."